﻿ It’s both endearing and exasperating to see where The Plot In You are going in 2018. For one, they’ve never really been given a chance to prove their abilities to a wider crowd with their countless metalcore contemporaries overshadowing them at every turn, so the fact they’re now finally getting a chance in the spotlight is at least good for them. Then again, they’re also doing it by following the defined trends, namely the synthetically-driven, melodic metalcore sound that’s been popular for the last few years. This on its own isn’t necessarily a bad thing given the strength of Landon Tewers as a clean vocalist – there’s a reason the band’s unplugged cover of James Bay’s Let It Go works as well as it does – but that doesn’t negate the danger of new album Dispose seeing them become bland copies of copies like so many that have come before them. Honestly it’s difficult to tell whether that’s the case or not, as Dispose has little in the way to analyse on any front. There isn’t any particular instrumental depth, and lyrically, the furthest The Plot In You go is a particularly bitter screed against an ex; beyond that, you’d be hard pressed to even call this a metalcore album, more in line with the synthesised pop-rock that Bring Me The Horizon toyed with on That’s The Spirit. But where that album actually had a solid pop framework that it used to its advantage, Dispose seems to meander between forgettable passages with little purpose and drive, culminating in a listen that feels, well, disposable. And even then, the extent to which The Plot In You are trying to ape Bring Me The Horizon’s success feels stark, whether that’s in a towering arena-rock track like One Last Time, long passages of minimalism trying to be as ethereal as possible like on Not Just Breathing and Disposable Fix, and even a tacked-on saxophone line that feels completely out of place on The Sound. And yet, while the pieces are there, they don’t connect in a way that feels fulfilling or cohesive. Not Just Breathing is perhaps the worst offender where the seams connecting the disparate elements can be virtually seen, but Feel Nothing and Paid In Full similarly suffer, especially given a production balance that practically blows out every time the walls of guitars explode into earshot. Dispose gets a lot better when The Plot In You embrace melody more fully, like the warping, solemn pop-rock of I Always Wanted To Leave, or the borderline-’90s alt-rock of The One You Loved, both of which are easily the two peaks of this album. This sense of melody also finds its way into Tewers’ performance, and with a weaker vocalist, Dispose would be far worse than it currently is. There’s a much wider range of emotional modes in his delivery, particularly compared to the vast majority of vocalists in the scene, cracking and keeping the imperfections in when necessary like the breaking catharsis of Rigged in a way that retains a much-appreciated human element. But even here the issues aren’t hard to pick up on, namely the fact that a genuinely impassioned and raw delivery like this one feels hideously awkward when shoved up against the processed instrumentation, and like with the blows of static on Rigged or the clunking beat of Disposable Fix, Dispose‘s quieter moments end up being its most jarring. It’s not as if Dispose was likely to have much longevity beyond that, though. It’s fairly short and there isn’t a lot here even then, and even with its moments of quality, they’re fleeting and not enough to save a pretty middling album from being much more. It would be unfair to say that The Plot In You have completely wasted their chance in the spotlight – the melodic instincts to pick up on do infer something better could potentially come – but it’s clutching at straws to give more praise beyond “they can do this a bit better than some other bands”. Even then, there are far more who could make an album more memorable and engaging than this. 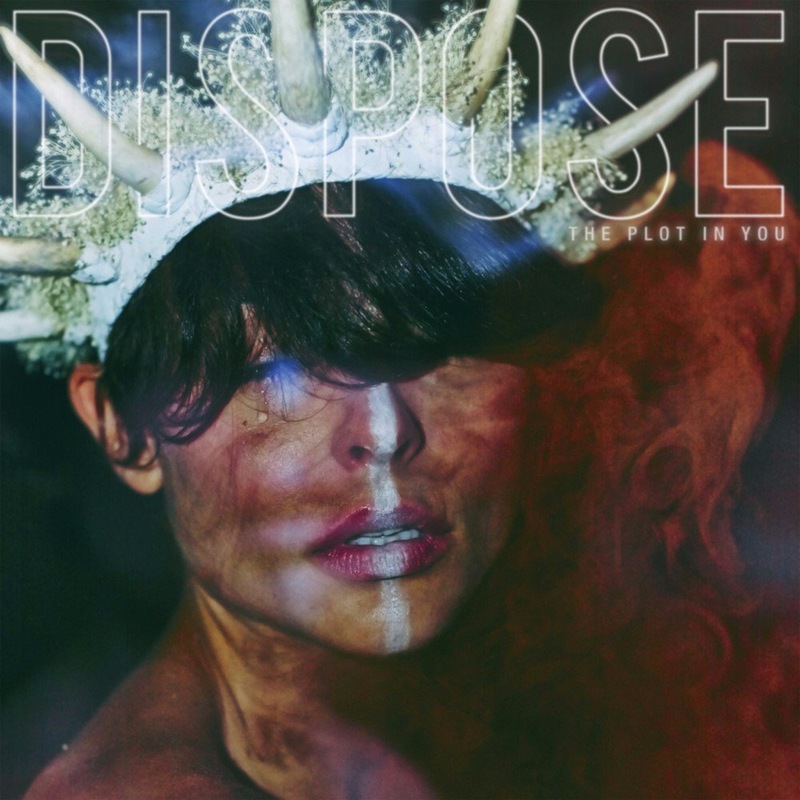 ‘Dispose’ by The Plot In You is released on 16th February on Fearless Records.